Funny it was exactly the faster absorption that got me interested in the company and a bought a few shares for kicks. Faster injected insulin strikes me as much more interesting than oral insulin. So apparently even in the financial markets YDMV. So my fellow T1 people what do you think is a faster insulin something you would buy? The main site is back but the forums are still MIA. Diabetes.org is down. Apparently they didn't bother to renew their domain name registration. "diabetes.org expired on 02/17/2008 and is pending renewal or deletion." If it is a ‘Honeymoon’ why aren’t we at a beach in on some nice Island? We are going to go with sarcasm here. You’re new to diabetes and a little dark humor should help with the stress. As far as I can tell the phrase ‘Honeymoon’ as relating to diabetes was coined by a sadist. The dude’s marriage must have really been god awful if he thought it was a good analogy to compare diabetes care with the first blush of marital bliss. Maybe it wasn’t a guy but I am not convinced that would explain it either. None of those come close to fitting the diabetes situation. Some confuse thing even more. Let start with the first one: Diabetes isn’t a vacation, it is forever. You can’t take a break for week or two from it and comeback and pick up where you left off without issues. And unlike a new marriage there is no pre-nup, no divorce option - you’re stuck with it - For Life. Two: The month thing just screws people up. The diabetes ‘Honeymoon’ isn’t a few weeks to a month but insulin resistance is. See Newbie Tip I. The ‘Honeymoon is the period from diagnosis to the point that all practical insulin production in the pancreas is gone. 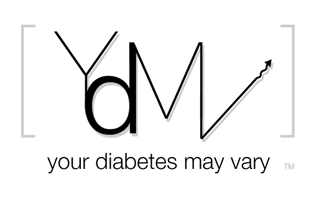 It takes a while, a year to years is as good a time frame to think about as any - Your Diabetes May Vary. From our experience insulin production goes out in fits and spurts. Blissful: If you think there is anything “Blissful” about diabetes you are on crack. As for the ‘Honeymoon’ well insulin production goes out in fits and spurts typically just when you think you have a handle on managing blood sugar. Diabetes is real good at changing just when you think you getting the hang of dealing with it. It is a mind game and growth Spurts and puberty just ad to the ‘Bliss’ of diabetes management making the ‘Honeymoon’ oh so much sweeter! Ok it doesn’t make it sweeter. But you learn to manage and that the whole point. As for harmony and goodwill I can’t see it, must folks new relationship with diabetes is all about stress and confusion. ‘Honeymoon’ my eye. About the only thing I can say is similar between the ‘Honeymoon’ and a honeymoon in the traditional idea, is that they both eventually end. The ‘Honeymoon’ last longer than 1, 2 and 4. Best wished that you have a marriage like 3. Now just because the ‘Honeymoon’ is over don’t get all excited and think your diabetes will be easy to manage. Growth, puberty, exercise, stress, excitement, weather, fat, grease alcohol, pizza and a whole lot more screw up the best made diabetes plans. Cue the Van Trapp singers. This dude is type 1 and does all kinds of cool stuff like climbing mountains, including Everest. I think he is probably a better type 1 role model than that Rock of Love clown from Poison. From the news wire a number of good stories about support for JDRF. I knew I liked bratts, - Johnsonville members' contribution, the walk raised $125,000. The money raised will fund research to find a cure for Type 1 (juvenile) diabetes. That is great but all there is to say about this one is WOW! Great Ready for “Friendly” Comments questioning your approach to diabetes management. USA Today just ran an articled titled "Diabetes study halted after safety review reveals risk." The opening paragraph part it says, “that pushing blood sugar to record low levels sharply increased patients' risk of death.” Nowhere does USA Today say what type of diabetes is involved. So the few members of the general public that know there types will find nothing to keep them from asking type 1s or type 1care givers why they are aggressively managing blood sugar. Have fun fielding questions implying your killing yourself or your kid by working for good A1Cs. Regular YDMV readers know I am interested by JDRF’s Industry Discovery and Development Partnership program. I am excited to see investments that are exploring for cures. I am also a big fan of the idea that those of us who care about not for profits pay attention to how the funds we give them are used. So maybe I am an idiot but I don't get 'science' sometimes. OK most of the time. The sciences crowd is all about the evolution thing. Natural selection favors stuff that works etc. How is that science can decide. 'Well what the heck, we don't know what something does and since we can't figure it out evolution is an idiot." Ok that a wee bit sarcastic but you didn't get here Google-ing WebMD. I am not a doctor, I don't play one on TV but my point is the idea that "C-peptide, which, until about a decade ago, was dismissed by scientists as a relatively useless byproduct" didn't make the natural selection cut for nothing right? Researchers at Michigan State University have found that a human protein produced alongside insulin could help treat circulation problems and other complications caused by type 1 diabetes. That protein is called C-peptide, which, until about a decade ago, was dismissed by scientists as a relatively useless byproduct of insulin production. But, according to chemistry Professor Dana Spence, C-peptide could alleviate blood flow problems, prevent strokes and help control blood sugar levels in type 1 diabetic patients. His conclusions haven't been tested in humans, or in other animals, for that matter, but Spence is optimistic. "I think it's really going to help with the blood flow," Spence said. "That's one that I'm hopeful for." In a recent study published in the journal Diabetologia, Spence and his team found that C-peptide helps red blood cells absorb glucose, or blood sugar, which they use to produce ATP, the universal energy molecule found in all cells. The release of ATP, in turn, stimulates production of another molecule, nitric oxide, which relaxes and widens the blood vessels. More nitric oxide presumably means better circulation. Yet another article promotes scientific studies showing strides to a cure, in mice. This time it is identifying pancreatic adult stem cells. The goal is replacement beta cells without the need for a lifetime of rejection medications. Scientific American is reporting on studies on using porcine beta cells. Once again the tests are going through the rodents. If I had a dime for every cure in mice story I may have enough for a cup of coffee at Starbucks. ScienceDaily (Feb. 1, 2008) — One way diabetes is bad for your blood vessels is by creating too much competition for an amino acid that helps blood vessels relax, researchers say. The rest is in serious science speak. If you cna read it you have no business reading my low brow blog.